Blogging can be a great way to create and build your online brand. 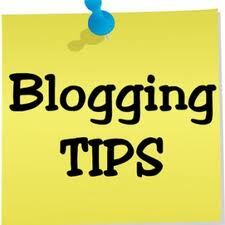 Getting top tips for newbie bloggers can help hugely to do this the right way. There are many things a newbie blogger has to do when first starting out by having a blog and it is important that you do the right things from the outset. The more good quality content that you add to your blog on a consistent basis then the more beneficial this will be in achieving any set goals. Before you get your new blog it is worth taking the time to consider what domain name or url you are going to use. It is very advantageous to use a targeted keyword in the domain name/url you want to use to drive traffic to your blog. As you can see, the “making money online” keyword is in the domain name/url and the search engines like this and you will have more likelihood of getting a good ranking for this keyword on the search engines (of course, other online marketing strategies would also need to be implemented to as well). A top website to get a new domain name/url from is Namecheap who offer excellent 24×7 customer support and live chat. I have been using their services for several years now. Once you have got your domain name/url you will need to host your own blog. It is always better to host your own blog as you have more control over what to add onto your blog such as plugins and content. As you can see, the latter looks much more professional. An excellent web hosting company I have used for several years is Hostgator that is very easy to use and offer 1-click automatic WordPress installation. Once again, the customer support is excellent! This is possibly the most important aspect that you need to do with a blog. People want to read, watch or hear good quality content that mainly deals with topics that interest them. It is worthwhile to always consider what quality content are you going to post that will be beneficial for your readers. There are readers who are looking for solutions and if you understand this from the outset and provide those solutions then you really do start to build a top quality blog with loyal readers. Your blog may become the first port of call and an authority for readers who are looking for answers. When starting out with a new blog a newbie maybe thinking what content to put on the blog and in what shape or form. A good way to start is by writing an article. Some people may record and post a video which is also excellent but in most cases a newbie will have to feel comfortable doing this and also know what tools to use. Writing an article is much simpler and quicker to do. The trick is to write an article and “spin” it so that you get many variations of the article but the content it is not duplicate content. This is very important to understand from a search engine optimization (seo) point of view because the search engines frown upon duplicate content and your blog may not get ranked as highly as if you were to put non-duplicated content. A tool to use that will “spin” your written article into many variations and so you have infect many articles with non-duplicated content is The Best Spinner which is what I consider to be the leading tool for this. I have been using this as well and it does save a lot of time and effort in producing many articles. It is important to note that “article spinners” most of the times do not produce content that is as good as a human naturally writing the content. You will have to go ever “spun” article for grammatical errors and ensure that it reads and sounds natural. Once you have produced many variations of your article then you want to use an article submission software to blast them out to a massive amount of directories and blogs. The Unique Article Wizard is possibly the best tool for this and you can submit your article to 600-1000 sites! Submitting articles is an excellent way to build your blog and the search engines do love original quality content so it really is a must. Picking up on the last point, writing articles is the simplest way to get new content onto your blog but if you feel confident to add video then this will also be advantageous. Adding video adds a personal feel to your blog, particularly if you are recording yourself or you provide a video demonstrating how to do something. An example would be how to add video to your blog, and the viewer sees your screen but not you but can still hear your voice. As an example, below you can see one of my videos where I show people how to create an opt-box (this enables you to build an email list which I will discuss on another post). This video I also uploaded to You Tube as they are great for getting your blog ranked high on the search engines. The tips here are just a few I could talk about without bombarding you with too much at this early stage. I believe these tips for newbie bloggers can help you to get started the right way. If you want to learn more about blogging and how you can market online the check out the best online marketing training platform. 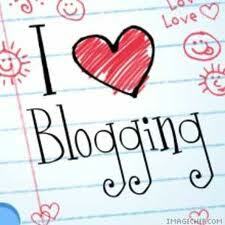 Please feel free to post me your comments/questions below and any blogging tips you may have.